EcoCar is Back From Hibernation! Firstly, I’d like to introduce myself as the new project manager of the University of Alberta EcoCar Team. I’ll be taking over Matt Sponiar’s responsibilities, and hopefully leading our team through the next few years of design, build, and competition. Actually, to say I’m the new project manager is a bit disingenuous; I’ve been in this role since around May of 2013, but for many months my team and I were occupied with vital tasks that had been left to us. That is why this post describes our return from hibernation: not only are we heading off to a new Shell Eco-Marathon, fiercer than ever, but also the weather has just recently started to thaw. It would be a stretch to say that the journey has been smooth. There are a total of 6 members, including myself, who have stayed from previous years. Nevertheless, we’ve been lucky enough to recruit an inspirational new group of members, who I fully believe will nurture and carry our team far into the future. We have been busy training our people, and structuring ourselves into MecE, Sensors, Fuel Cells, and Motors sub-teams, as well as a corporate relations and a recruiting team. We’ve begun to reappear throughout the social mediaverse, and we’ve had the good fortune to recruit several new sponsors: Ballard Power Systems, AirCom Instrumentation, and Cratex Industries. More on these later. 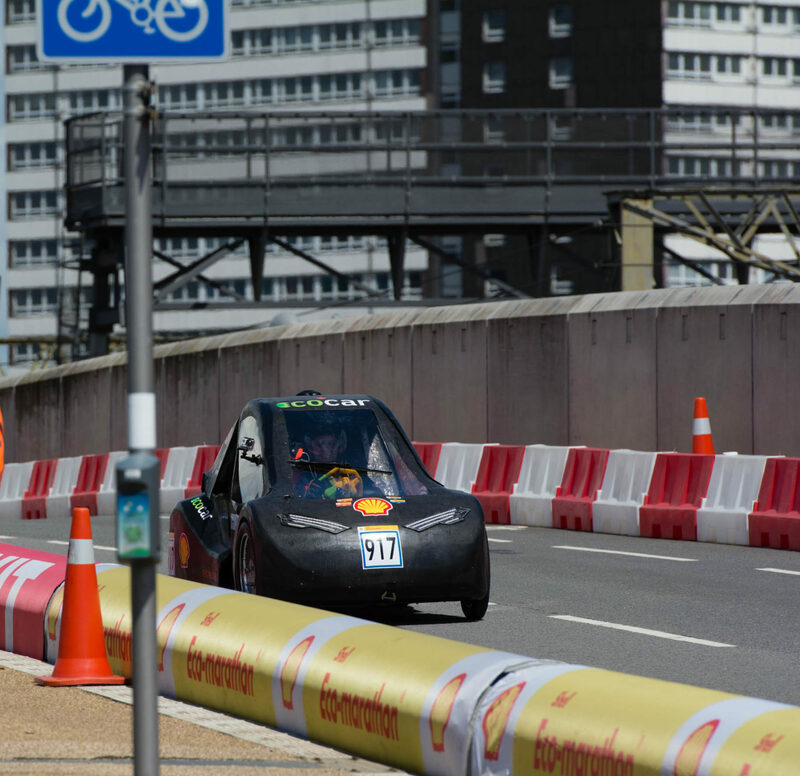 To finally get to the meat of this post, we are very excited about the upcoming 2014 Shell Eco-Marathon Americas! Immediately after exams end this Thursday, April 24, seven of my team members and I will be flying down to Houston, Texas to race our beloved Steve (the Eco-Car) in the UrbanConcept Hydrogen class. Don’t worry, we’ve had all year to do the paperwork right, so we should be able to take home the gold without a hitch this time around. Here is my promise to you that we will continue posting, liking, and tweeting from here on out, so you will always be able to get the latest on the EcoCar Team. Wish us luck! Next PostNext Home is where the crate is!